challenging for a preschool classroom, you can begin to introduce students to their names. Preschoolers learn best when the material presented is relevant to their lives and interests. What better way to introduce writing than beginning with their names? Objective: Students will be able to distinguish at least the first letter of their first name and make attempts to recreate this letter on paper. Prior Knowledge: Most students are able to recognize their names in print when presented with a list of names to choose from. Older students who are able to write their first names will begin working on their last names. Lessons: Before beginning the writing process, students must be able to recognize their names and distinguish at least the first letter. Present a sign in activity that includes children finding a name tag with their name written on it. As an extension of this, have children write their own name on a sticky name-tag. Have a copy of their name available for them to refer to. the alphabet. Using the sticky name-tags created by the children, place each tag on the chart according to the first letter. Use the chart to decide how many names begin with "A" and so on. 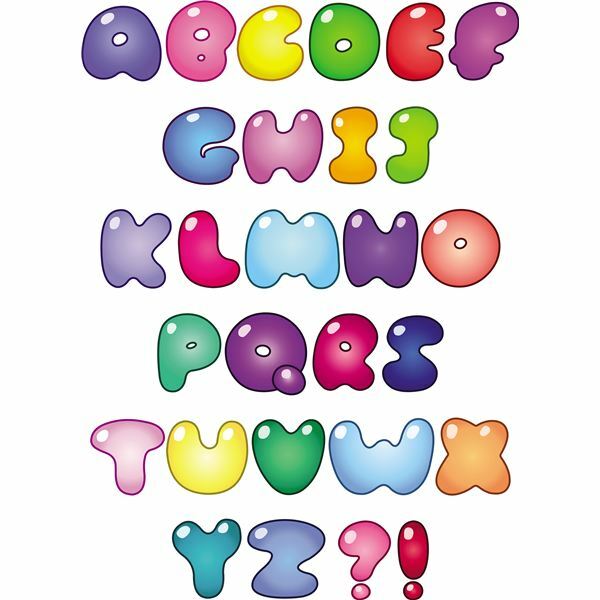 When children are comfortable and can tell you what letter of the alphabet their name starts with, present them with a cut-out of their first name letter on cardboard or another heavy paper. Use collage materials, rice, macaroni, beads, or another textured material to decorate the letters, creating a tactile experience for children. Provide ample opportunities for children to practice holding writing instruments, as well as create letters. First attempts may look like scribbling to you, but are very meaningful attempts for preschoolers. Be sure there are plenty of examples of print in your classroom for children to refer to when writing. Display children's names in several different areas of your classroom. Assessment: Because of the age of the children, a formal assessment will not be conducted. Are children able to recognize their name on a list of students? Are the children able to hold a writing instrument? Can children name the first letter of their first name? Are the children able to write the first letter of their name when given a model to copy? Remember that all children progress at their own rate. While many children in your classroom may be able to write their entire first and last name, a few children may just be ready to hold a writing instrument in a mature grip. Make the lesson flexible enough to serve the needs of all of the children in your care. Practicing a mature pencil grip, learning to recognize letters and sounds, and recognizing the importance of print are all precursors to preschool writing. Be sure your class gets plenty of practice learning their names before moving on to more formal writing instruction.